DJI raised the bar for drone technology again today when it announced a brand new drone, the Mavic Air at a live event in New York City. It is their most portable drone. The new Mavic Air is smaller than the DJI Spark and less than half the weight of the Mavic Pro (15oz/430g versus 1.62lb/734 g). 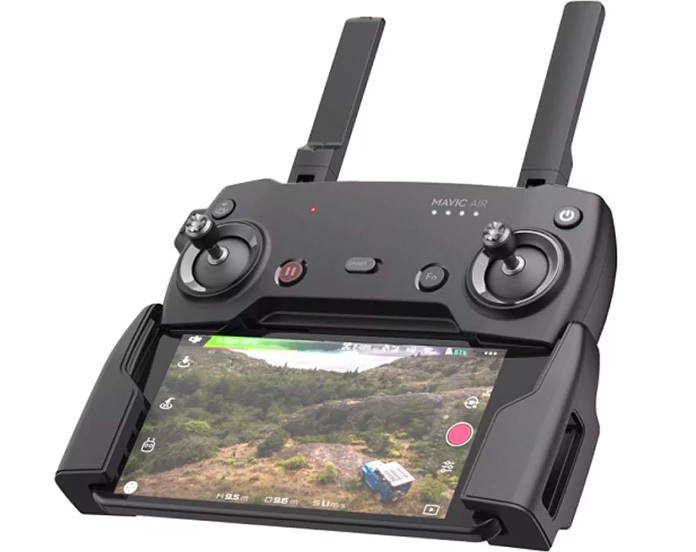 At a price of $799 it fits right between the $499 Spark and the $999 Mavic Pro. As far as features, the Mavic Air has the same size sensor as the Mavic Pro (1/2.3-inch CMOS), a 24mm f/2.8 (35mm equiv) wide-angle lens, and a 3-axis gimbal. It can capture 12-megapixel still photos, 4K footage at 30fps (with a maximum bitrate of 100 Mbps), and Full HD video at 120fps. And if you forget to bring your memory card with you when you go out to fly no worries, the Mavic Air has 8GB of internal storage available. One upgrade over the Mavic Pro is the addition of rear-facing obstacle avoidance. It also has Advanced Pilot Assistance Systems (APAS) that allow the aircraft to fly around obstacles without any input from the pilot. You can basically push forward on the stick and it will create its own path through obstacles. Top speed is 42.5 miles per hour in Sport mode. It can operate in winds of up to 22 miles an hour, and operate at altitudes up to 16,404 feet. Battery life is rated at 21 minutes which will give you a flight range of 10 km or 6.2 miles. The Mavic Air uses the DJI Go4 app. There are some software enhancements that add two new features to the Quick Shot mode as well as improvements to the Gesture Mode that is popular on the Spark.